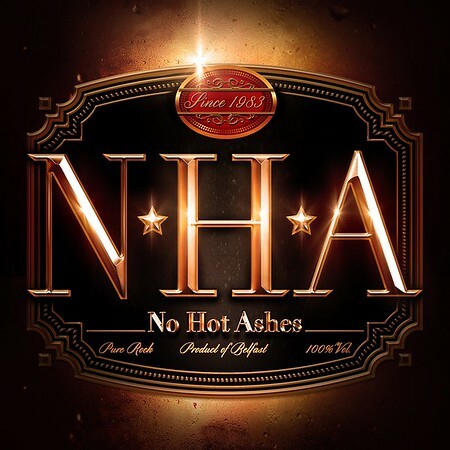 Local band No Hot Ashes release their long awaited debut album through Frontiers Music on 23rd March. They’ll be launching the album with a gig in The Limelight in Belfast on Friday 6th April, supported by none other than FM. 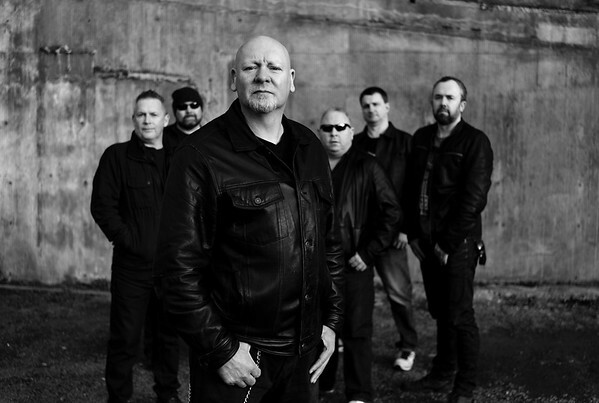 Myself and Ian Fisher (aka Rock Radio NI’s Balatty) recorded an interview with No Hot Ashes vocalist Eamon Nancarrow on 6th March and chatted about the new album and much more. You can hear that interview on the Friday NI Rocks Show and on Balatty’s Podcast as well. NI ROCKS – Hi Eamon, thanks for taking some time to talk to Rock Radio NI. We’ve just played the track “Boulders” from your new album. Can you tell us something about that track? EAMON – I had an idea in my head to write a song about my mum and dad’s struggles after she had a stroke. Essentially my dad decided that she wasn’t going to go into a nursing home and that he was going to look after her at home; against all medical advice, but my dad is very stubborn. So I had the idea for the song in my head, I just didn’t have the song as such. Then Tommy Dickson our keyboard player brought me this piece of music that he’d been working on for a quite a while and it just fitted the context of the song. So I started writing the lyrics and the melodies and the song came together. Basically it’s a testament to my dad and my mum, and to those thousands of carers out there that don’t get much support and many breaks. Essentially it’s a dedication to them. NI ROCKS – The new album comes out on 23rd March via Frontiers Music. When and where was it recorded and who did you work with in the studio, for production, mixing etc? EAMON – It was recorded in Einstein Studios in Antrim with Frankie McClay - the genius that is Frankie McClay. It was recorded over a couple of days. Steve Strange our drummer lives in Los Angeles and London, so essentially we had two days to record all the drum tracks, which he did manfully and very well. We then pieced in around that, as and when we could. Once it was all finished it was sent to Merv Goldsworthy and Pete Jupp from FM and they produced the album. It was mastered by Jon Moorehead at Moosetronix. So it was recorded at Einstein and produced in London and now it’s available. To me it sounds excellent and I’m very proud of it. NI ROCKS – Yeah, it’s a great album. It was recorded of course with the late Paul Boyd on bass and the album has been dedicated to him. He unfortunately passed away early last year, but did Paul get to hear the final versions of the tracks? EAMON – Yes, he did. And that is such a relief and a joy for me. Paul was such an exceptional bass player and backing vocalist and a really nice guy. I’m delighted that he got to hear, but a lot of things have happened since that – the album artwork and stuff he didn’t see and he’s not going to get to see or hear the reactions to the album which have been very positive so far and I think he’d be very proud of it. He was proud of it, but I would have loved for him to have seen the positive energy that has been put out. NI ROCKS – The band has now found a new bass player. Who is that? EAMON – Our new bass player is Billy Causby who is a veteran of many a rock band around Northern Ireland. He used to play for Johnny Hero’s band, and may still do, Glam Slam. A very, very talented musician, a great singer and a nice guy. I think one of the most important things about No Hot Ashes is that we get on very, very well. We’re friends as well as band members. Billy had to be very good because he was going to fill some big shoes, but he also had to fit in as a person and he has fitted in seamlessly. NI ROCKS – Jumping back a few years, when the band reformed in 2013 for a specific event did you imagine that it might lead to the release of your debut album after all those years? EAMON – Absolutely not. I’m actually surprised we got to the end of the gig (laughs). Rehearsals were kind of thin on the ground with Steve living in Los Angeles and London; he was flying back for rehearsals in a shed at the bottom of Paul’s garden and then flying back to America either that night or the next day. We didn’t get much rehearsal time but we made it to the end of the gig and played very well, and went down even better. Steve, being Steve said we were just going to carry on and that he would get us a record deal. NI ROCKS – Did Frontiers seem like the natural home for No Hot Ashes and how was the connection made with them? EAMON – It’s the perfect home for No Hot Ashes. They’ve got Whitesnake, Journey, Foreigner and all the bands that we were brought up on, and that we based our style on, were on that label. It was a perfect fit. My understanding of how it came about is that Steve had a couple of bands that are signed to Frontiers and he knows how they work and how their contracts work. He’s very comfortable with them. We were playing the Ramblin Man Festival with the Scorpions and Frontiers were there because a number of their bands, like FM, were on the bill. They saw us and liked what they heard. I’m not sure if they liked what they saw, but they liked what they heard (laughs). They offered us a contract more or less there and then. NI ROCKS – The album features 10 tracks including a cover of Rick Springfield’s “Souls” from the “Living in Oz” album. Why did the band decide to cover that particular track? EAMON – We were content with our own stuff, but Frontiers also have Rick Springsteen on their label and they were keen for one of their bands to do a cover of this particular song. The song was a hit for Rick Springfield on the back of a movie. I hadn’t heard of it to be honest with you! The track was sent to us to listen to and we did and I really like it. But, it isn’t heavy enough for me, and I thought if we’re going to do this track, we’ll do it our way; a lot heavier and with a bit more drive in it. The drums were recorded very hastily as Steve hadn’t heard it. This is going to sound ridiculous, but I was singing the lines by listening to the line then repeating it, because I didn’t know the song well enough. I was listening to his line and then singing it in Frankie’s. So it was recorded in a very strange, roundabout way. It is getting mentions in nearly all of the reviews as being one of the stronger tracks on the album so I’m more than delighted. NI ROCKS – Were the remaining 9 tracks all written in the years after the reunion in 2013 or had some been around for a while? EAMON – No, only one track was from days gone by. “I’m Back” was written around 1987 or ’88, something like that. The rest of the tracks were all new. We knew when we went out on the road the first time, when we were playing the older stuff, that it just maybe wasn’t good enough. The new songs that we were writing were far better quality. So we decided that we’d write and record predominantly new songs. With “I’m Back”, Steve really likes the song and he wanted it recorded with modern production and so on. I was slightly hesitant to do that – one, mainly because I didn’t sing on the original, it was another singer that joined once I had left No Hot Ashes and I didn’t know that I was suited to it. But he seemed to think that I was and he put a lot of faith in me to do it and I did and I think it’s another very strong track on the album. NI ROCKS – We’ll play another track from the album now. Pick a track and tell us something about it. EAMON – Probably “Glow”. It’s a song that I’m very proud of. It’s written about my partner, but it’s not your typical slushy love song. It’s about her understanding of me in many ways and the fact that, as the years have gone on, she has become a major part of my life and the biggest part of it. BALATTY – Tell us briefly and you and the rest of the original line-up met and got together way back in the day. BALATTY – Knowing both Ken Heaven and Marty O’Sulliva; two young quite volatile chaps, yeah! EAMON – The band split up shortly after that little altercation and I took up the job in No Hot Ashes. BALATTY – That continued for how long? How long were you together? EAMON – For about four or five years I think. BALATTY – Then you headed off to London, had a bit of success with Nellie Dean and then back home to join up with Strictly No Ballroom. We’re travelling through time at a rate here. Along came the Rosetta reunion thing. Who had the idea to get the Ashes back together? EAMON – It was actually a fella called Rab Barry who contacted me out of the blue and said he was putting a gig together for a couple of friends who had passed away prematurely; as a sort of remembrance for them and a get together for the crowd who used to go to the old Rosetta Bar. He asked if No Hot Ashes would reform and I said no because Steve lived in America and rehearsal would have been quite difficult. I didn’t really know what everyone was up to at that time; I was busy with lots of other things as well. Initially I said no, but when I hung up the phone, I thought I’d give Paul Boyd a call and tell him what has been proposed and that if the boys wanted to get together and run with it, it’d be up to them. I phoned Paul and said you know it’s going to be a long-shot because Steve is in the States, but this is what being proposed. Paul put down the phone and about twenty minutes later rang me and said he’d been speaking to Steve and that Steve really wanted to do it. I said if Steve wants to do it we’ll put a line-up together and do the gig. That’s how it came about. BALATTY – Was it just like old times? EAMON – I’ve got to be honest with you, it was like the years hadn’t passed. We just got on exactly the same way as we did before. Luckily, we’re very good friends and we just carried on. It is like time hasn’t passed. BALATTY – Nigel has already covered part of this, but what was it that happened, that you and the boys decided to start writing and recording again? EAMON – Steve basically said that if we stayed together he would attempt to get us a record contract. He always felt that there was one really good record in the band and I tended to agree with him. I always remember our song writing as being very strong. When he proposed that, he also said I’m going to get you onto a couple of festivals and a couple of support slots or whatever. At the start I did take him with a pinch of salt because he’s a very busy man; we’re all busy as well and I thought let’s see how it goes. It was a great night, we got on well and it was like old times. The next thing, he phones and says we’re doing the Irish leg of the Foreigner tour! With Foreigner being one of my favourite bands of all time I was definitely not going to say no! We did those dates and Steve said let’s start writing for an album. Even if we just used the old songs there was only a certain number we could put on an album quality wise and those were the ones that we were playing on the set. As we started writing they started dropping out of the set and the new songs took on a live of their own. BALATTY – I can assume that a good time was had by all when you went out on the road with those boys? None of you are getting any younger. How were you able to cope? Did you have a wee drink? EAMON - We did! We have been known to have the odd libation I must admit. How shall I put this? We certainly did not party. The first few days we partied the way we used to have done when we were in our teens and twenties, but that very quickly catches up with you! We had to ease back on the partying because we’re not up to it anymore. Hangovers, tiredness, long journeys in the van was just taking it’s toll. We had a brilliant time. Brilliant people to be with and we enjoyed it. BALATTY – As we mentioned, we lost Paul last year and he played on all the bass parts. Was there any doubt after he died that the album maybe wasn’t going to come out? EAMON – We knew for a period of time that Paul was going to pass and it was never considered that the album wasn’t going to come out. We knew Paul was proud of it; he really was. Short story – Paul was like our quality filter. He would listen to the songs, to the production, to the mix and stuff like that and would give it his blessing almost. Paul was like a gadget geek and he had numerous forms of playing the album. He had all these surround sound things, sound bars and listened to the album on everything that he could including the car stereo, a small ghetto blaster that he had and so on. He was so much involved in the quality of the album. We could have turned around and said this is going to be too painful and whatever, but I think in his memory...; and the album is completely and utterly dedicated to him. When you do get the album, the liner notes are very specific to him. So to answer your question, there was no point at which it wasn’t going to be released. BALATTY – Give us another track that you want to play now and tell us why. EAMON – “Come Alive” which is the opening track on the album, I have a soft spot for. I am what is commonly known as a humanist and I believe in equality; that all human beings are equal until they prove that they’re not. This song is basically about those that are in the upper echelons; those that are in powerful positions and in whose interest it is to keep the ordinary people down. This song is basically about the change that is needed. We need to become alive and become politically aware and aware that those at the top have a vested interest . They want to stay there and make the poor poorer and the rich richer. This song is about bearing that in mind and thinking when the next election happens. BALATTY – Possibly as good a track for these times as any. NI ROCKS – The band have an album launch gig in The Limelight, Belfast on 6th April, supported by FM. Tell us what the band has planned for that evening? EAMON – It’s an early evening gig as The Limelight does on a Friday night. The doors open at 7pm and at 7.30pm I think FM will come on. That’s such an honour – FM are one of the British AOR heroes of mine. They wanted involved because we did a tour with them and we got on brilliantly with them and they loved the band. Merv and Pete were also obviously involved in production of the album. They are going to play an acoustic set of covers, which is very special in itself. They’ll play for about an hour and we’ll come on roughly about 9pm and we’ll play the album in its entirety. Then possibly, there might be a bit of a party afterwards. NI ROCKS – What other gigs does the band have planned for the rest of the year? EAMON – We’re on the bill for Download and Ramblin Man Festival. There’s a festival in Sweden called Väsby that we might be on the bill for and towards the end of year there’s the chance that we might be going on tour with a major band, but that has to be confirmed still. BALATTY – Any shout outs or dedications before we finish? EAMON – We all want to dedicate the album to Paul for obvious reasons, but we’d also like to shout out to our families who have been very supportive in our middle-aged madness. Without them and their support it wouldn’t happen. I’d also like to thank Frankie McClay whose patience was beyond belief when we were recording the album and what he had to put up with. Because we hadn’t rehearsed as much as we should have done, a lot of work was done in the studio with us trying to learn songs and he was very patient with us. And thanks to guys like yourselves at Rock Radio NI because we’re indebted to the coverage that you give us. NI ROCKS – Just one more question. Early days, but has there been any thought about a second album? EAMON – Yes, but whether we get the chance to do it. That’ll be dependent on sales. If the album sells well. It’s getting rave reviews and I’m blown away by the reviews. That side I think we don’t have to worry about , but it has to sell. The record company aren’t going to put out another album or ask you to record another if they don’t get their money back or make a profit. So I’d ask all your listeners to go buy a copy. That may result in a second album. NI ROCKS – Eamon, thanks for talking to us. We’ll finish with another track from the new album. Can you pick one and tell us something about it. EAMON – I love “Jonny Redhead” which is written about my son, wee Shane. Shane has red hair and we’ve nick-named him Jonny Redhead and basically Shane didn’t sleep for years. He would be up maybe five times a night, but the laugh would be when you went to get him up in the morning, knowing that he’d been up for hours on end, and asked him how he’d slept, he’d say he slept like a log. The opening lines are ‘He wakes in the morning with a smile, slept like a log, now back to bed for a while’. So it’s all about him and the antics that he gets up to. It sounds like someone who is rocking through the night and partying all the time, but it’s actually a kid who just wouldn’t sleep!